I’ve outlined 8 ways to improve communication skills in your marriage. — Karen Budzinski, Author of the new release "How to Build an Enduring Marriage"
“True listening means that when another person speaks, I am not thinking about what I’m going to say when they stop talking. Instead, I concentrate on what they are saying. Listening is also complete acceptance without judgment of what is said or how it is said,” says Karen. “Plan a time that is good for your spouse, speak the truth in love, be sensitive to the other person’s feelings and allow for reaction time,” says Karen. “Try these things the next time you feel anger welling up inside of you: breathe deeply, try to think objectively, concentrate on listening, don’t add fuel to the fire by backbiting and not keeping to the issue at hand, don’t put the other person on the defensive, learn how to present your feelings so that it is easier for someone to take, give the other person a chance to respond. If they don’t understand, let it go, guard against repaying evil for evil, be humble; we all make mistakes,” says Karen. “Once you have communicated with your spouse, you have done about all you can do to change the situation. Step back and allow them time to take the necessary steps to affect change,” says Karen. 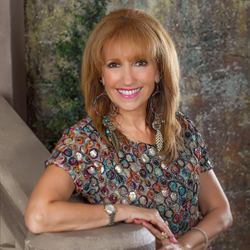 Karen Budzinski is the author of the just-released title, How To Build An Enduring Marriage, a book she wrote after years of studying relationships and teaching her signature class, Building Better Relationships. In 1981, Karen taught her first class, helping folks strengthen their relationships; she did not realize at the time that the rest of her life’s work would be dedicated to helping others build better relationships. Her book contains a wealth of information that has benefited an inestimable number of people. Karen has been the head of several Women’s Ministries for churches, taught and written materials for adult, youth and children’s classes and marriage groups. Karen has counseled numerous troubled marriages, conducted seminars and taught homiletics to individual groups. She has spoken in front of thousands across the world. Karen has also spoken to several MOPS groups and teaches an ongoing class. The book, How to Build an Enduring Marriage, can be used in any community group to help strengthen relationships. Karen and her husband Gary reside in Michigan; their family has grown to include five adult children, their spouses, and three granddaughters. If you would like further information, are interested in hosting a book signing event, or would like to bring Karen in to speak to your group, she can be contacted at info(at)karenbudzinski(dot)com, via her web site KarenBudzinski.com or her Facebook Page “How to Build an Enduring Marriage.” You can purchase the book on Karen’s web site, via the following link: http://karenbudzinski.com/shop/ or at any local book retailer.